Sherman 341213 at Maaldrift. 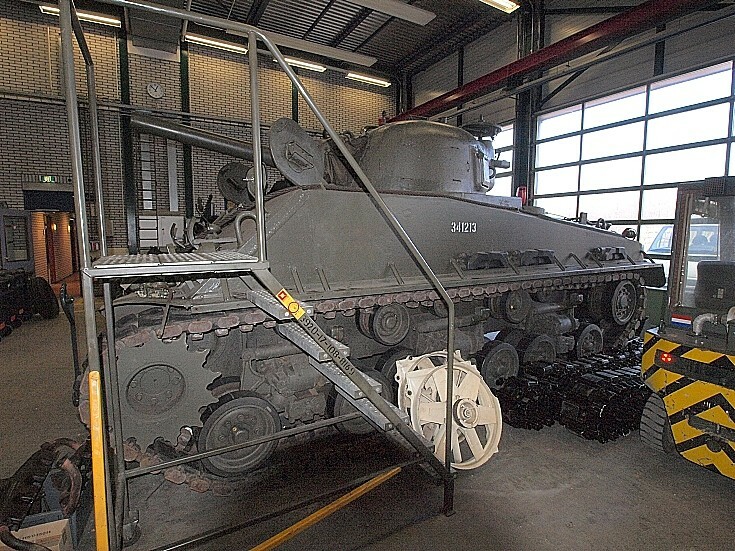 This is the other Sherman the '330 materieel logistiek peleton' has under its wings. Here it is seen under techncal repairs. The motor needed to be revised.